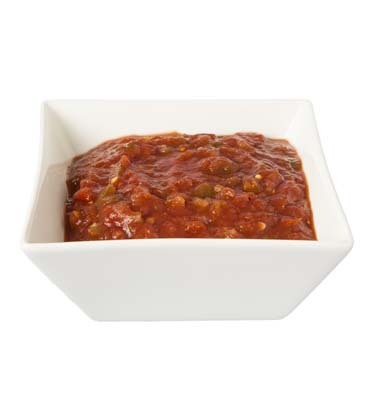 Made with Pace® Chunky Salsa- Mild and fresh peppers, onion and lemon juice. Perfectly pared with tortilla chips, this salsa makes a great appetizer or snack. 1. 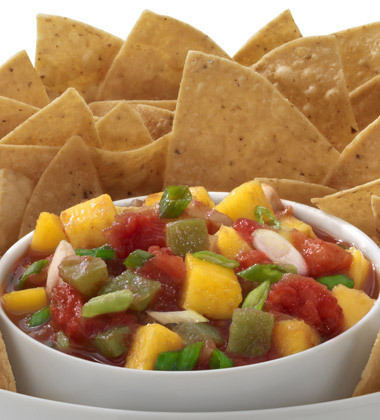 In bowl, combine Pace® Chunky Salsa, mango, onion, and lemon juice. 2. To Serve: Using a #16 scoop, portion 1/4 cup salsa into small bowl. Serve with 1 oz chips on the side.